The infrequency of flights offered by major U.S. carriers in and out of Bonaire's Flamingo Airport in Kralendijk makes planning a bit of a logistical challenge. On my way to see the new Marriott Courtyard, the first chain hotel to open on the island, I flew economy on United's weekly non-stop from Houston on their standard workhorse 737. George Bush Intercontinental is a relatively easy airport to get around, but United's counter area in Terminal E is a bit confusing. The problem is poor placement of signage for bag drops after printing bag tags at the numerous self-serve kiosks. I had an overweight bag and opted to skip the kiosks and utilize the "other services" line, from which I watched lots of head scratching as new arrivals sorted out the scrambled check-in area. My own experience in the "problem" line turned out not to be a problem at all. The agent was quite helpful, even offering an alternative solution before pointing me toward the TSA Pre-Check line on the opposite side of the lobby, where there was no waiting and an efficient crew. Arrival on the Bonaire end involved a portable staircase departure onto the tarmac, followed by a brief and friendly passport control stop at the entrance of the un-air-conditioned and crowded baggage claim area. Terminal E is the international terminal at Intercontinental, with an average selection of international services and duty-free shopping. Fast food choices are adequate throughout the terminal, but the real treat is Cat Cora's Kitchen, serving locally sourced food, wines from the Texas Hill Country, and craft beer for those with adequate time for a sit-down meal. The biggest problem with United's gates was a complete lack of charging stations. After searching three gates, I found a standard wall outlet tucked under a bank of pay phones. I can't recall the last major airport I was in without charging stations in at least some gates. Flights to Bonaire are invariably filled with scuba divers, many traveling in congenial groups, which makes for quite a bit of last minute seat swapping. Mine and my husband's original seats were in row 14, which oddly, is not a Premium Economy row, even though there are premium seats in front of it and behind it. I couldn't find anything wrong with row 14 until the arrival of a family of three pint-sized, seatback kickers in row 15. When it became obvious that the parents across the aisle had no intention of supervising the youngsters, we requested assistance from the flight attendant. Two seats together in row 34 were the magical solution. The comfort level was average, with adequate leg room, some recline, and United's standard thinly-cushioned seats. I was quite surprised to find warm food choices for purchase on a United flight, including a Cheeseburger, which turned out to be quite tasty. It was served with lettuce, tomato, and pickles on the side. Packets of mayo and mustard and a package of crunchy potato sticks made to look like fries rounded out the $11.99 meal. I am not sure I would order it again if time permitted a meal in the terminal, but in a pinch, it was better than the soggy sandwiches I've had in economy in the past. Service on the flight was cheerful and friendly as is often the case on flights to the Caribbean. Perhaps that is a byproduct of relatively short flights to pleasant destinations. The crew made multiple drink passes through the cabin during the flight, and supplies of standard drinks seemed adequate to keep everyone happy. 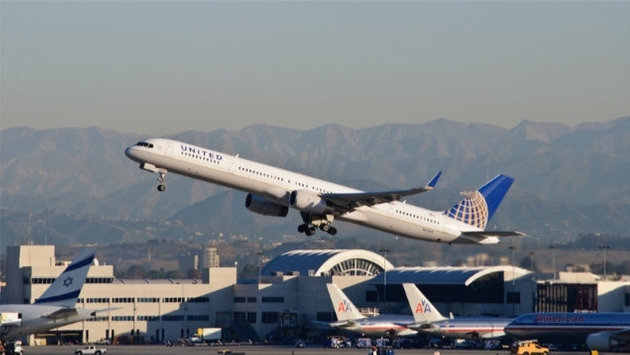 While United's economy class is nothing to get excited about, this flight included carry-on bags, free soft drinks and assigned seats at no extra charge, all things that are quickly becoming extinct.